Hello everyone so this is day 2 of my Lagos leave series. 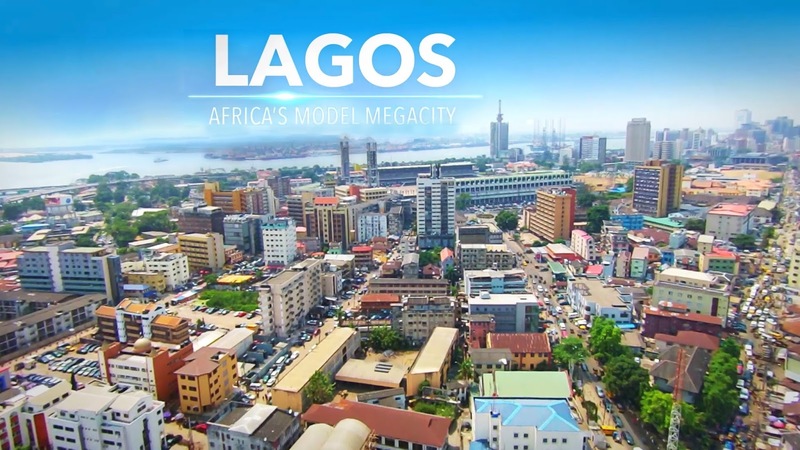 Today’s gist is even sweeter than yesterday’s, as I learnt some new things about Lagos. Day 2 was a Saturday and my itinerary for the day was to attend a family wedding. I was coming from Satellite town otherwise known as Navy Town (I had no idea how far that place was). Omo Navy town is far, it’s like a journey within a state. The wedding was to take place at Oregun, ikeja. My uncle who I was staying with suggested I hitch a free ride with his colleague who was working that day since the journey is far. The colleague was to leave for 8:30; meanwhile the wedding would not start till 12pm. I was now asking myself when I get to ikeja, what will I be doing till 12? Where will I stay till 12pm? Anyway my uncle’s friend dropped me at Ikeja under bridge at 10am. Since I still had like 2hrs before the wedding, I decided to go to Cakes & Cream. My uncle had earlier mentioned they do really lovely cakes. In my mind, I was like I will go to Cakes & Cream, have a slice of cake and hangout there till its 12pm. When I got to Cakes & Cream, I was really disappointed. They had no place to like sit down and eat anything. It’s basically just a walk in store, buy cake and go. But I was amazed at the beautiful display of cakes they had there. They make such beautiful cakes. When I realized there was no place to sit and I didn’t want it to look like, I just entered and left without buying something; I decided to buy a slice of their cake (at least to know what they taste like). When I saw the array of prices, mehn, I was beyond shocked; the least price for a slice of cake is Seven hundred naira (N700). Due to shame na (not wanting to leave empty handed) I just close eye bought a slice. I love chocolate, so I bought a slice of chocolate gateau for Eight hundred naira (N800). The price is too much in my opinion though, honestly I need to improve my cake craft; there’s plenty money there (lol). They have lots of customers, with the number of people I saw there, wanting to buy cake at that time of the morning. After I bought the cake na, I had to look for where to hang out before wedding time. I entered keke, I just told the driver Allen; though I had no particular place in mind. As we were going, I saw KFC; immediately I told the guy to stop. I entered KFC telling myself that I will just buy something small, at least to justify my stay there. Immediately I entered, I went upstairs; thinking they’ll come up to take my order, for where? No one even bothered about me. As soon as I got upstairs, I just went to their restroom to do my makeup (I hadn’t done it since, cos there was no time). After makeup na, I said ok let me eat my ‘special’ cakes & cream chocolate gateau. Hope I’m not spoiling market oh, but the cake wasn’t sweet and I was left feeling very disappointed. Honestly I was expecting a taste of heaven, after all na N800 I buy one slice. Anyway I had to eat up everything; I didn’t want my money to waste. I ate it up with my hands not knowing there was spoon inside the pack, after messing my beautiful hands with cake I just saw spoon(imagine my annoyance, lol). I sat at KFC waiting for 12pm, so I could go for the wedding and during the two hours I sat there, no one came to take my order. I was even happy at least it would save me money (after buying one slice of cake for N800). At 11:30am, I quickly got up and left the place, and got a bus going to Oregun. When I got to Oregun na, I couldn’t locate the church, not knowing the church was right beside me, chai. I trekked eh, I called the groom’s brother, to ask for directions, still yet I couldn’t locate the place. I realized one thing, in Lagos if you don’t know where you are going or you are a JJC, transport guys would happily exploit you. That’s exactly what happened to me that day. Anyway at the point of giving up, I just saw the bus belonging to the church where the wedding was to take place, I quickly hollered at them, they stopped and took me to the church, I was so grateful. I have noticed that whenever I’m in Lagos people are always nice to me (that must be a sign for me to stay in Lag). I would stay immediately If I get job in Lag, na job just remain. The wedding was so beautiful, well organized, I had such a nice time, not forgetting the fact that a lot of my family members were there, cousins, uncles, aunties, friends (having people you know at a wedding is so vital, if you want to have fun; that’s why I don’t attend weddings where I don’t know the couple). As usual your girl was looking fly (if I may say so myself, hehehehe). Honestly Abuja weddings cannot measure up to Lagos weddings, Lagos weddings are the real deal. Every aspect of the wedding was on point, even the MC. The MC was very funny; not like one wedding I attended in Abuja where the MC was just misbehaving and talking anyhow. At this wedding eh, I started feeling like getting married (lol). You could see and feel their love for each other; Love is really a beautiful thing. After the wedding na, I set out for the journey to Navy Town, na there I see real traffic, not to forget the number of the buses, keke and bikes I took. Transport in Lagos take style expensive, no wonder people hardly visit themselves here, moreover after the stress of the week, you just want to rest, no time for visitation. But me na as per Abuja girl, even when I relocate to Lagos, I would still be visiting friends. I don’t think I can imbibe that Lagos culture of not visiting people. I realized that this traffic thing in Lagos eh, is mostly caused by impatience and reckless driving. People don’t want to give way for the other person, everybody is in a hurry. When we were in traffic that day, some guys took it upon themselves to direct the traffic, I salute them, and it was because of them we moved that day. Honestly with the traffic and all, I really love this town (Lagos) and I just pray I’m able to get a job so I can stay. Thank you for reading, tomorrow Day 3 gist is coming.